Note: After you establish your 1RM Clean and Jerk, use 70% of the load for the EMOM. 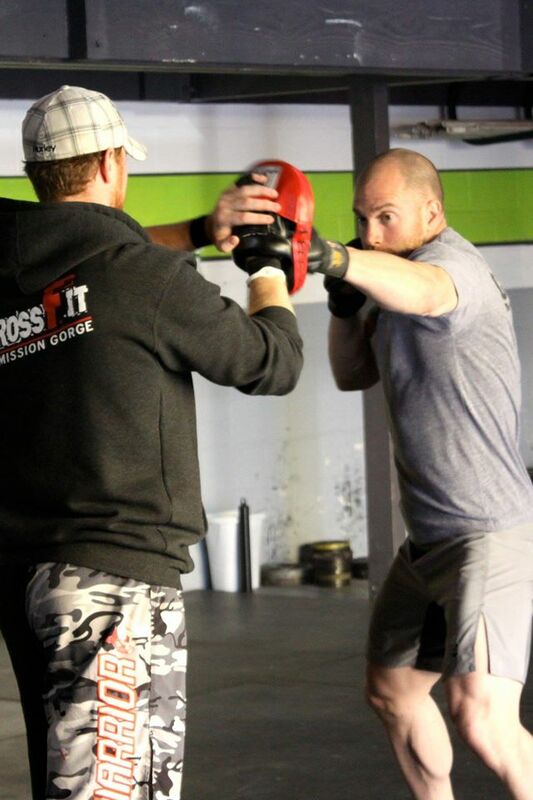 Starting this Thursday, March 30, from 5:15PM to 6PM, Greg Amundson will be teaching a weekly Bag Class that will be a combination of CrossFit Striking and Krav Maga combatives. This is an awesome workout and conditioning class, that develops power, speed, endurance and stamina, and reinforces proper striking mechanics. This class is FREE and open to all levels – no martial arts experience needed! Bag Gloves (full finger protection!) are required. Current Krav Maga yellow belt athletes are encouraged to attend. Immediately following class is Satvana Yoga – the perfect balance of “Fist and Heart.” See you on the bags!